An entire neighborhood, deemed by the City to be so run-down & in decline, was utterly & totally obliterated and replaced in 1964 with another run-down & declining neighborhood. This is JERSEY STREET, at the intersection of Crescent Ave. It is part of the RICHMOND TERRACE HOUSES, which consists of six, 8-story buildings with 488 apartments housing some 1,371 people. 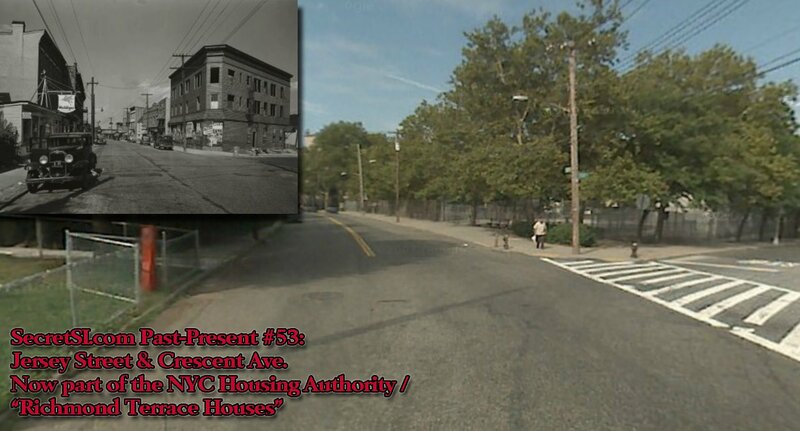 Completed April 30, 1964, the 10.66-acre complex is bordered by Jersey Street, Richmond Terrace, and Crescent Avenue. Next articleGene Simmons a School Teacher?